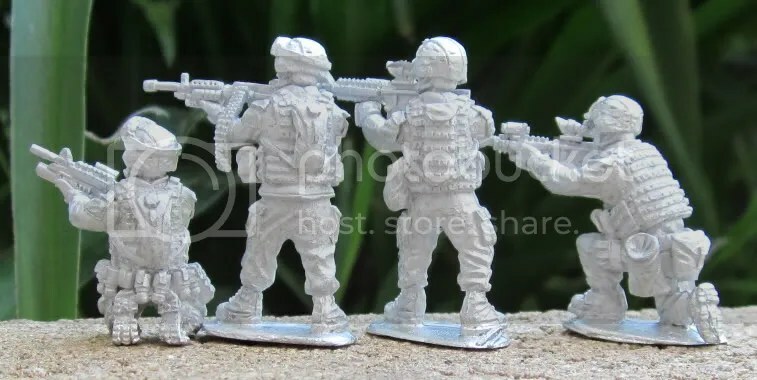 Eureka Miniatures: USMC | Azazel's Bitz Box. 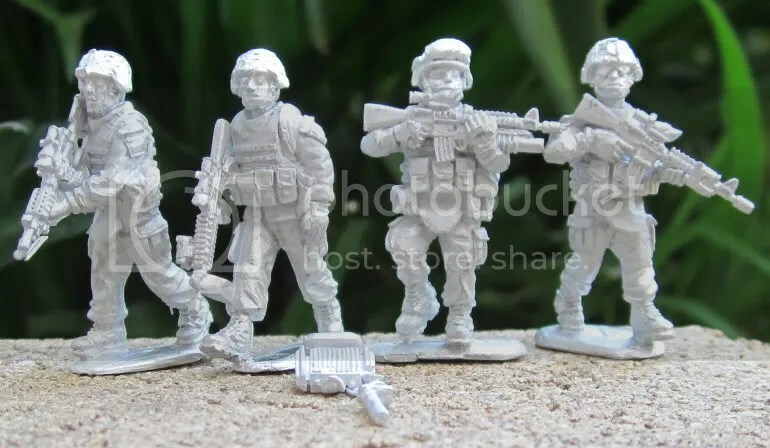 This entry was posted in Miniatures & Gaming, Modern Wargaming and tagged Eureka Miniatures, Modern Marines, USMC. Bookmark the permalink. 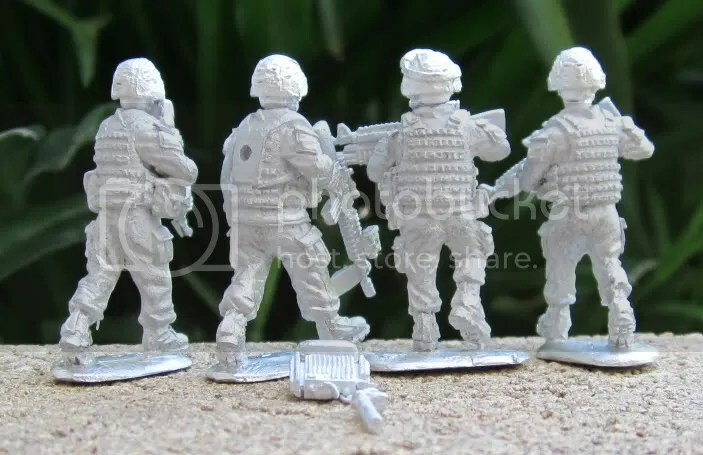 Pingback: Eureka Miniatures: SEAL Team Six, USMC Force Recon « Azazel's Bitz Box. 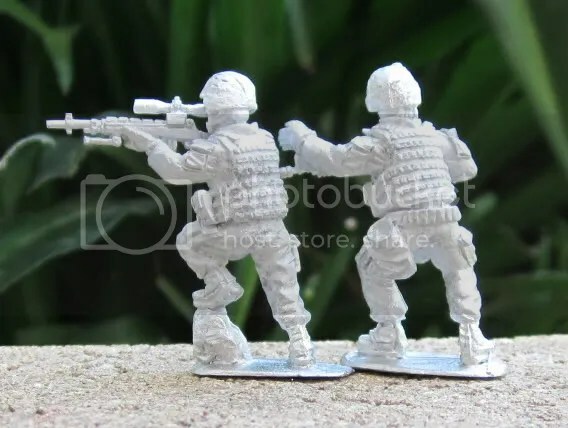 I have seen that the US troops in MOPP gear that are sold by Eureka are more like 25mm than 28mm. 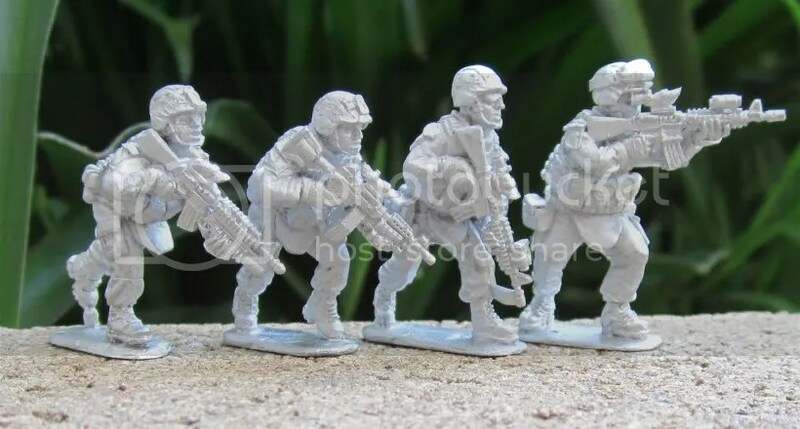 How do the USMC scale up with other 28mm minis? 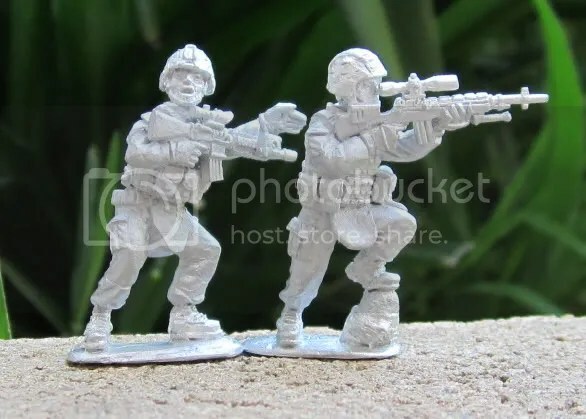 They’re basically true-scale 28mm minis as opposed to “heroic scale” 32mm figures. 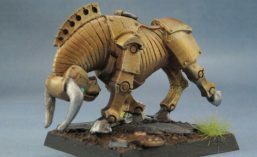 They fit in well with many other manufacturers’ product, including Red Box Games’ stuff, Mantic’s Corporation, even GW’s older LOTR figures – size-wise if not thematically but not so much with GW/PP/etc. I don’t have any other moderns at this stage, due to various reasons my minis and hobby gear have all been packed away for awhile, and probably won’t come out again for a few more months. I plan to get the Empress figures down the line, as well as Eureka’s FFL line, but haven’t done so yet.